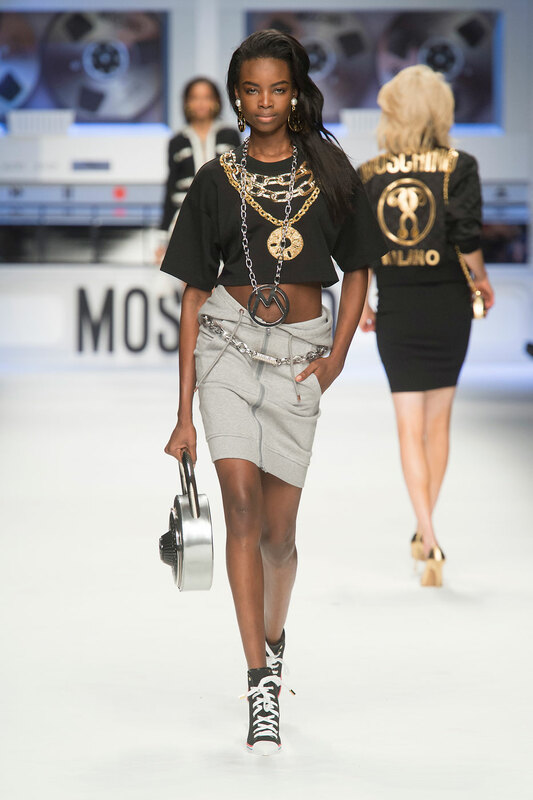 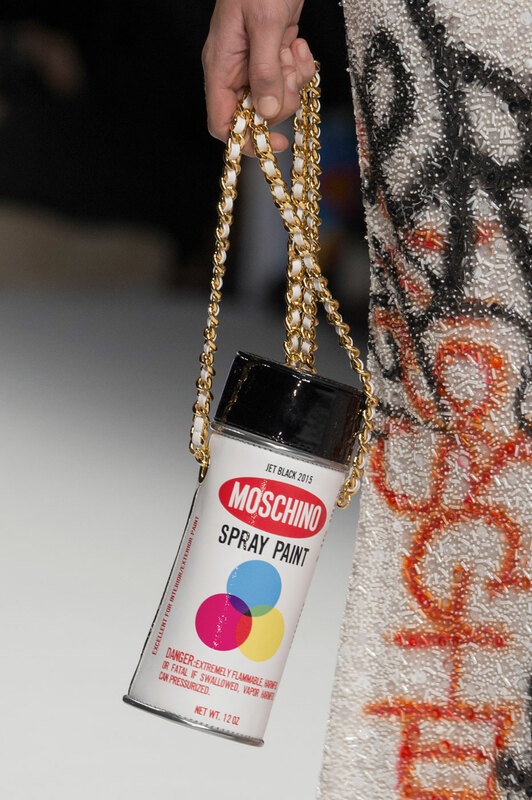 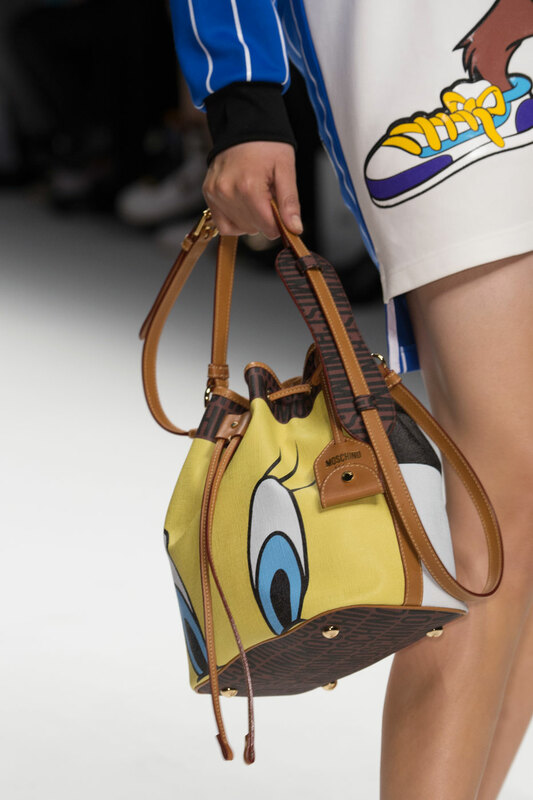 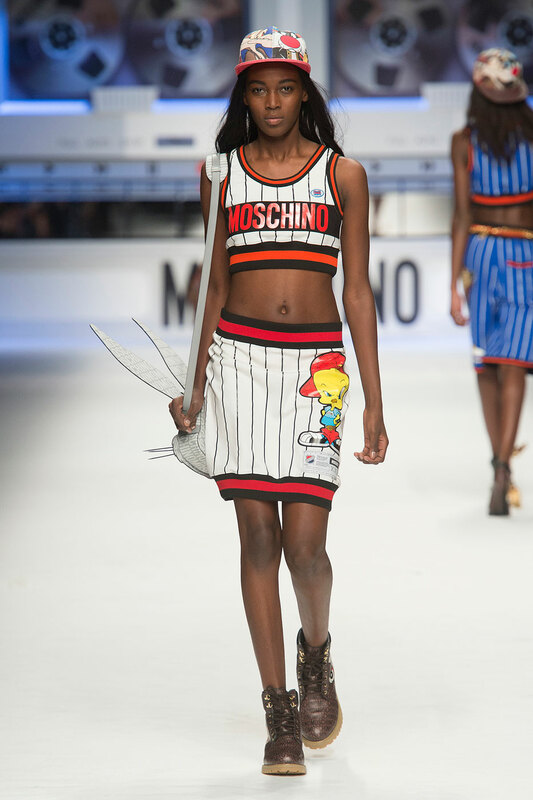 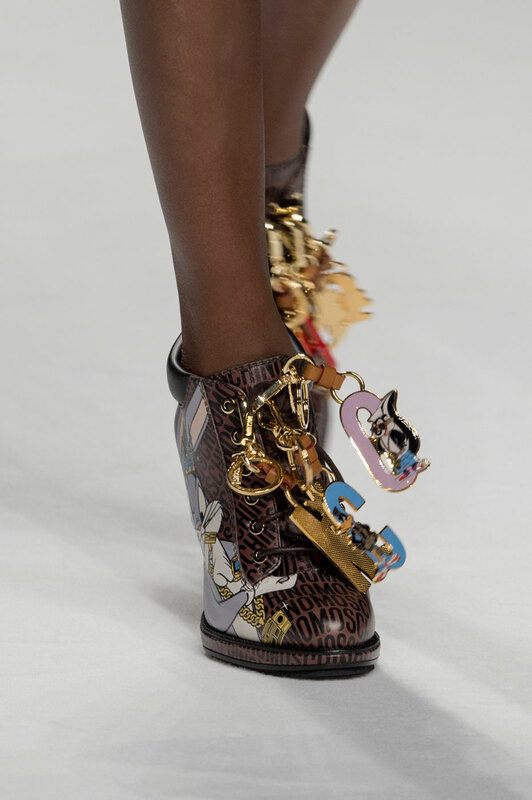 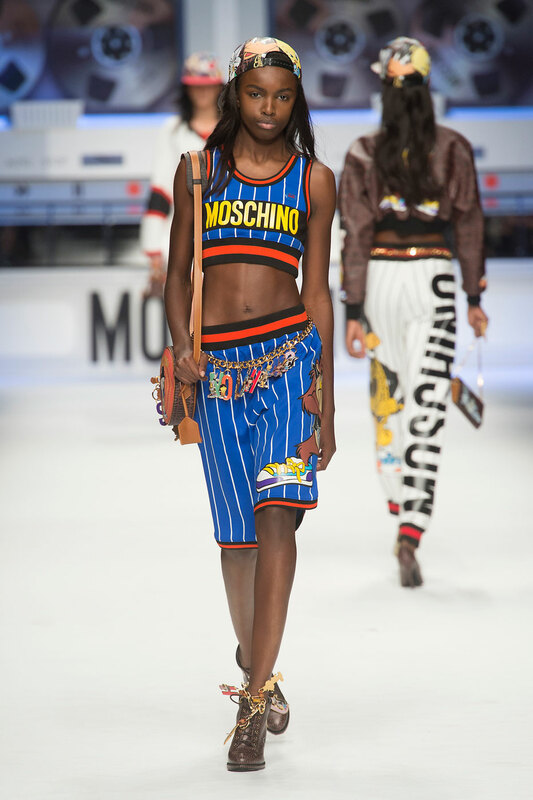 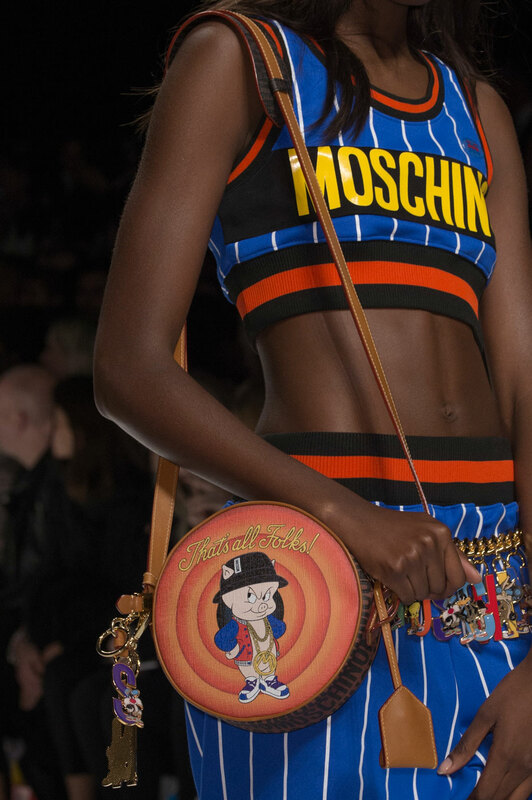 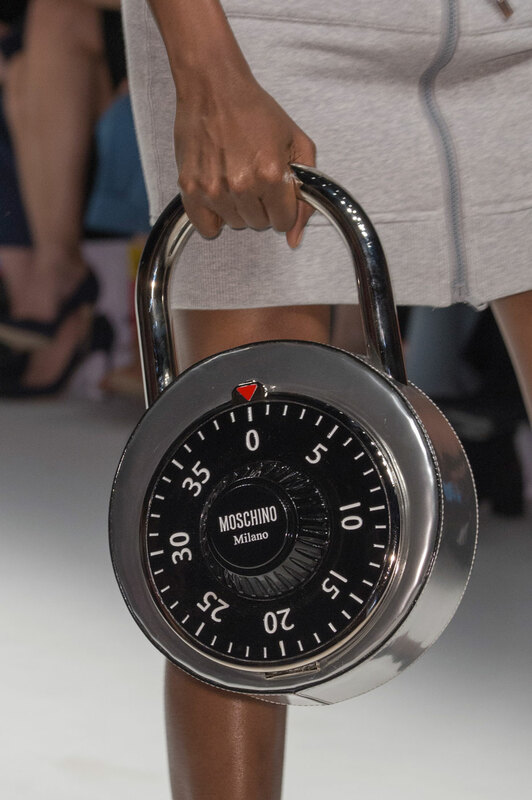 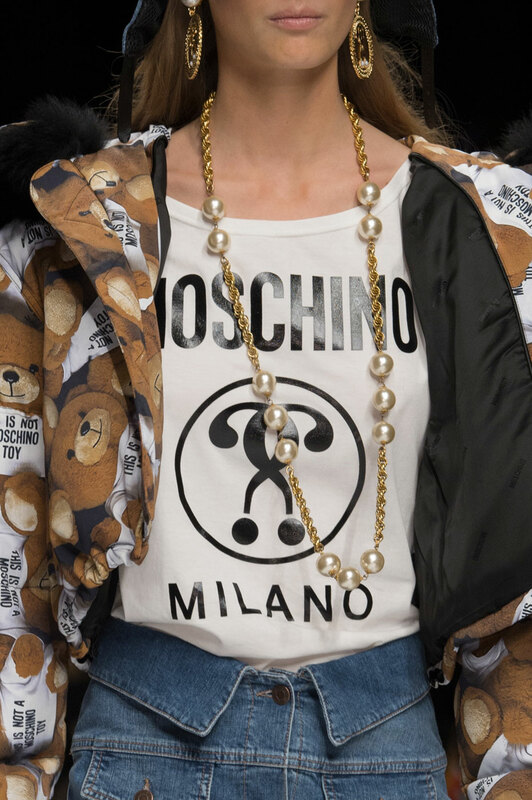 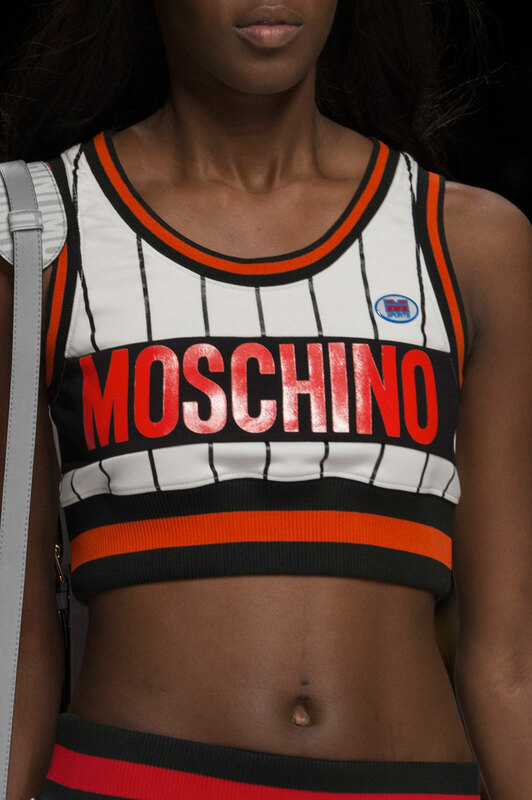 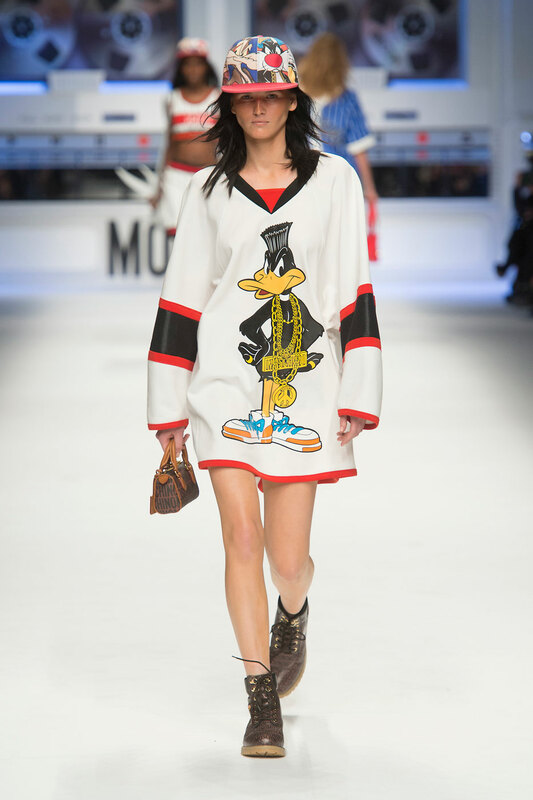 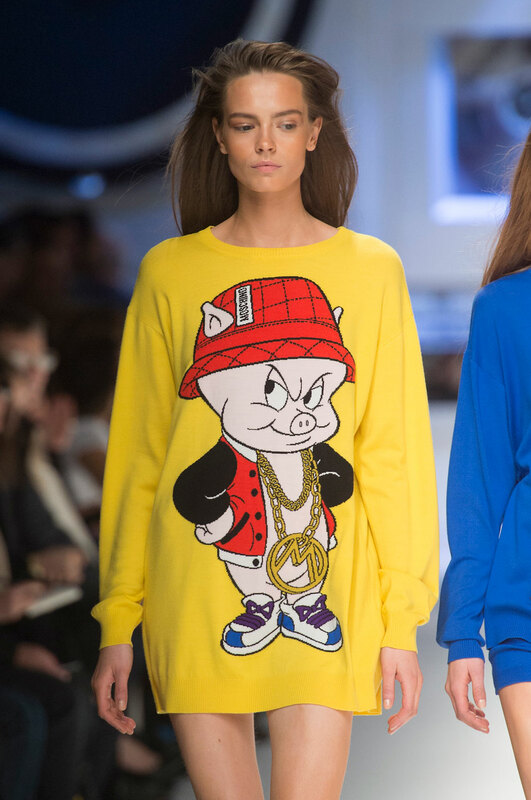 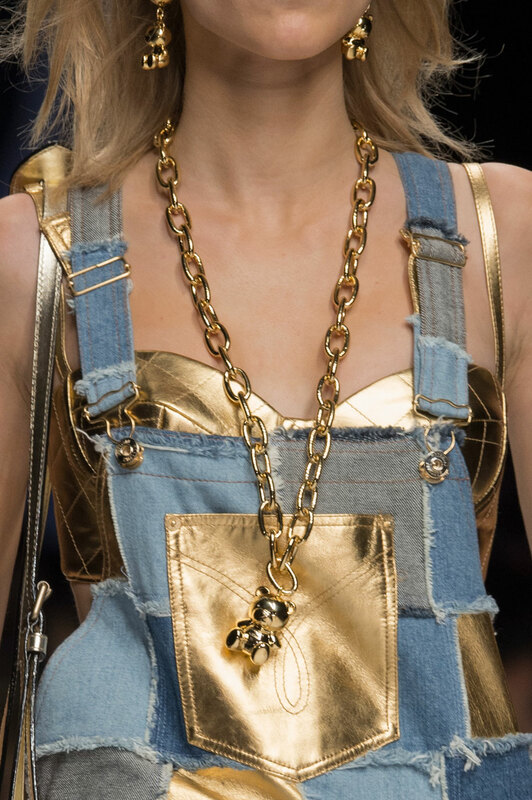 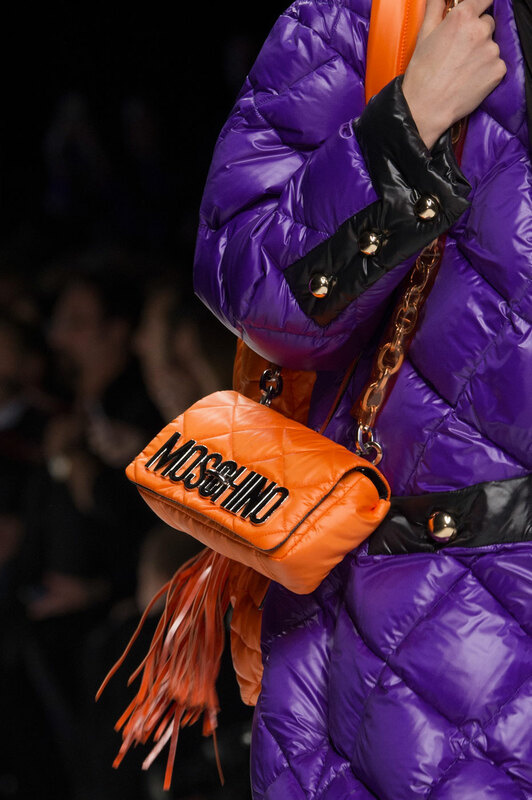 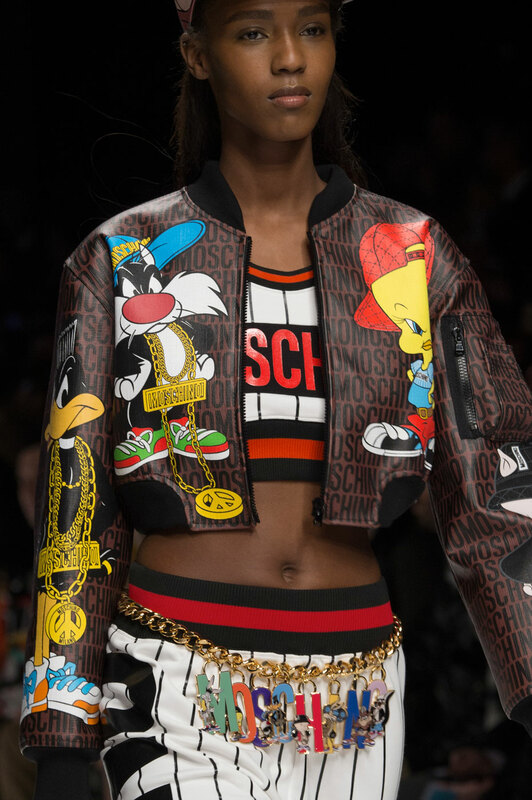 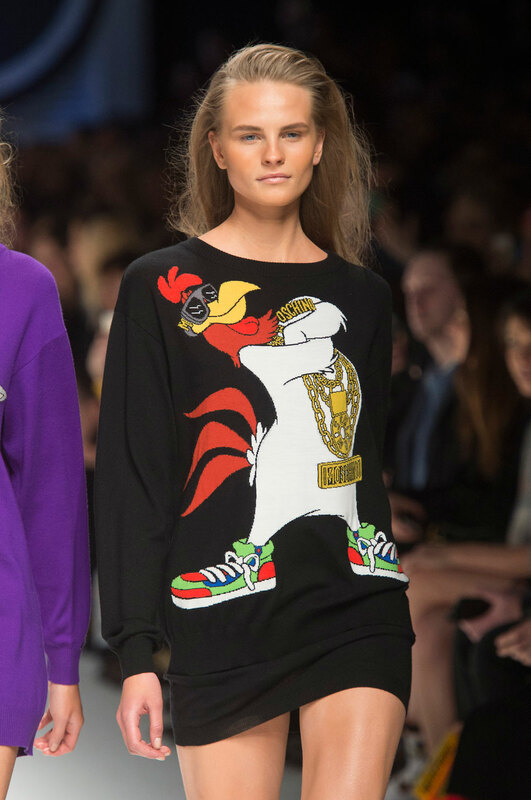 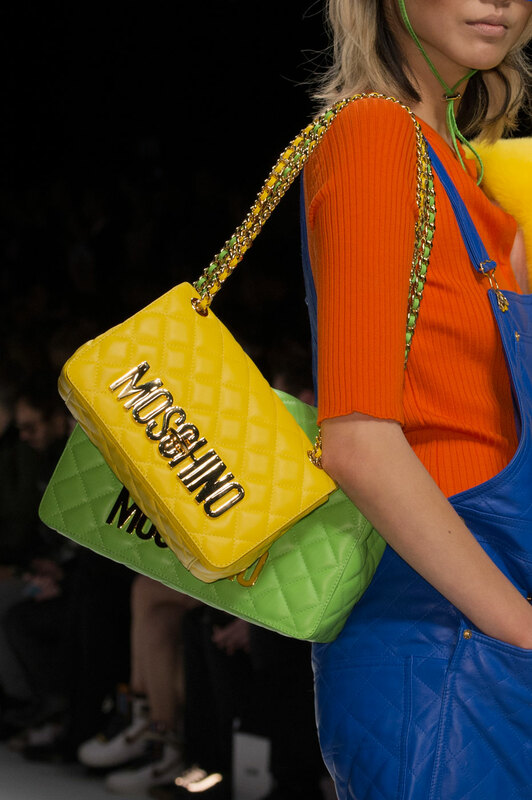 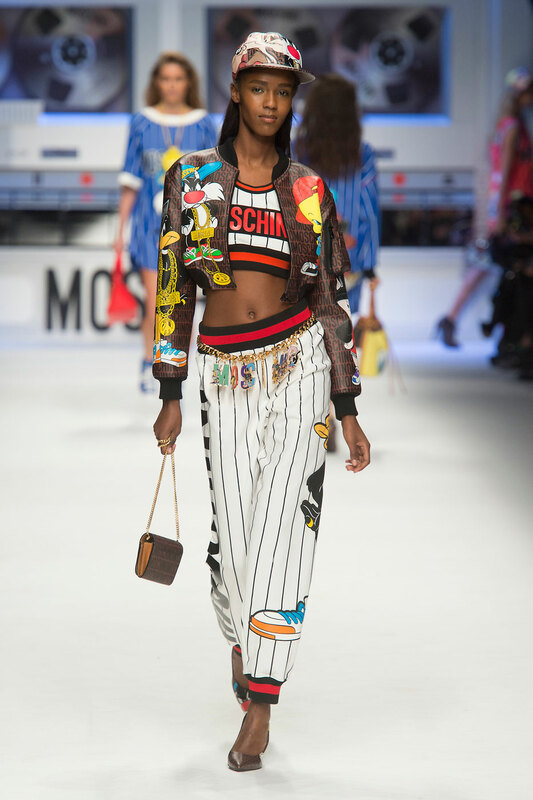 Moschino Women Autumn-Winter 2015 - Jeremy Scott’s obsession with pop-culture is here to stay this season with ‘Looney Tunes’ taking a stand. 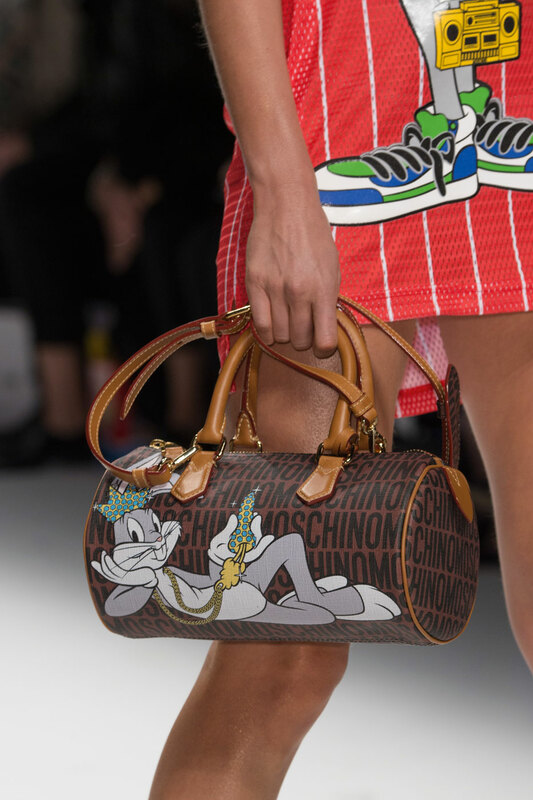 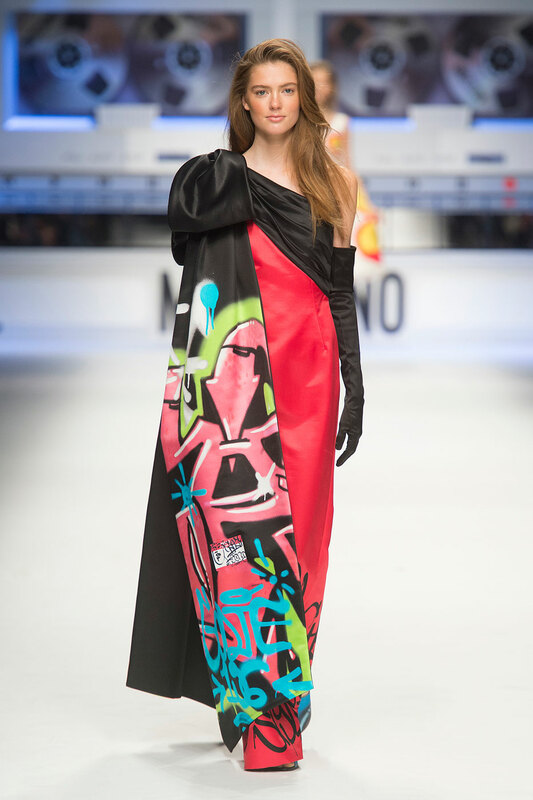 His playful, cartoon inspired creations have proven to be truly magnificent once again, his artistic, bold perspective shining through every detail in the collection. 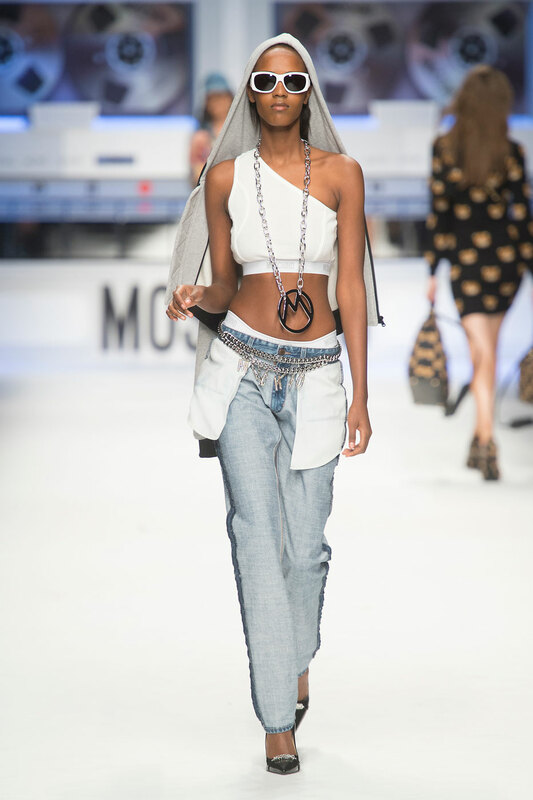 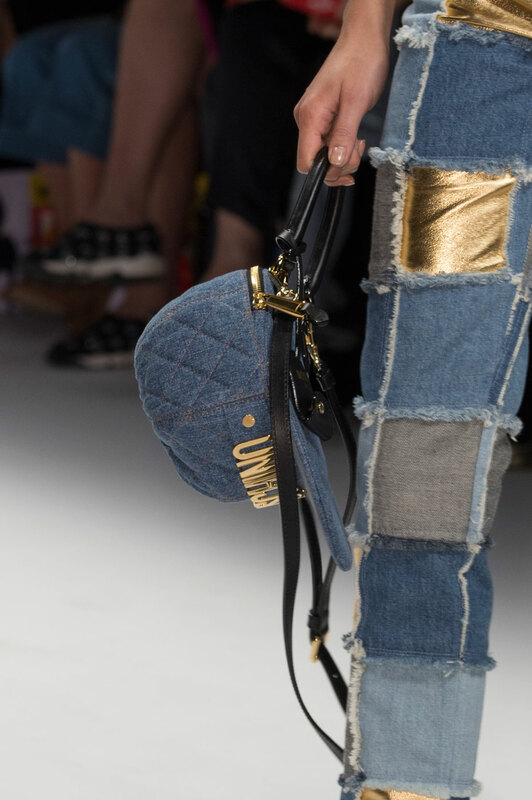 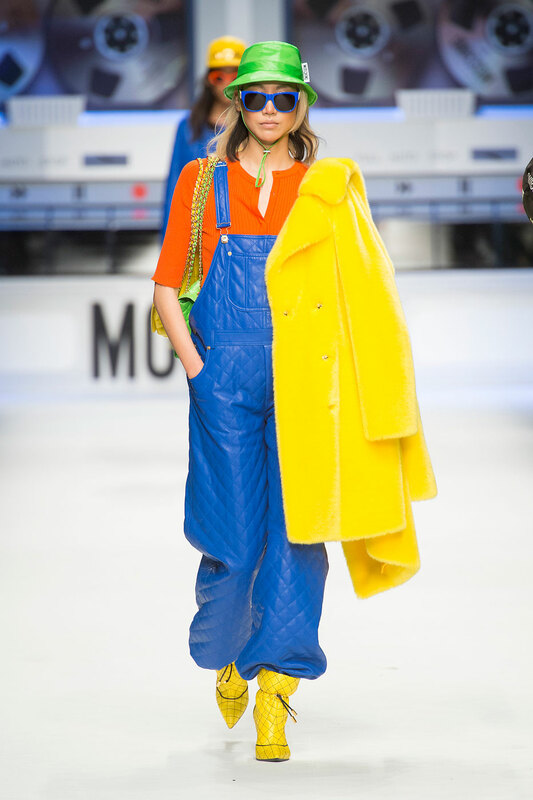 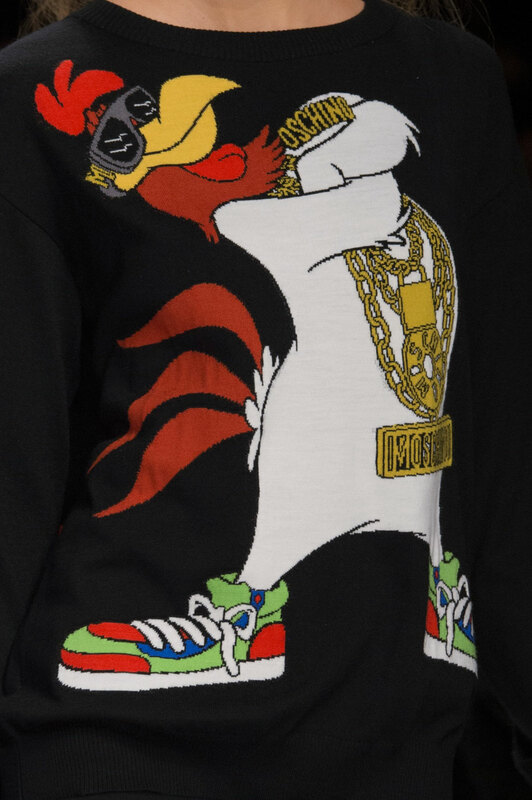 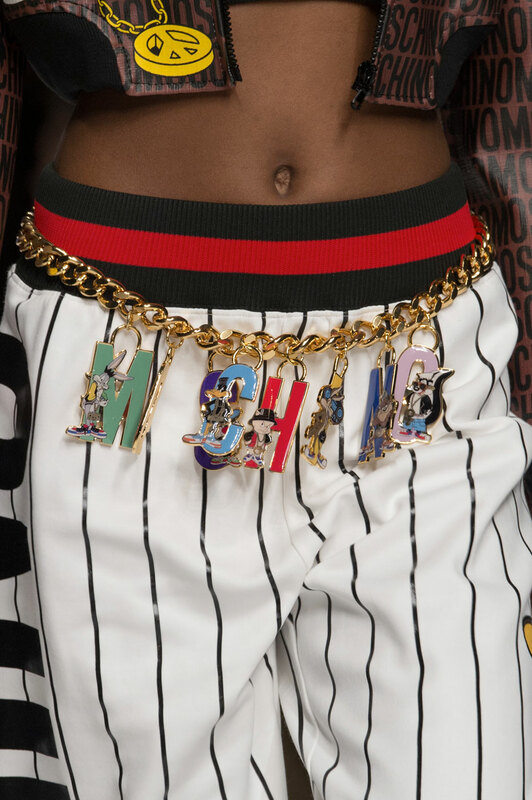 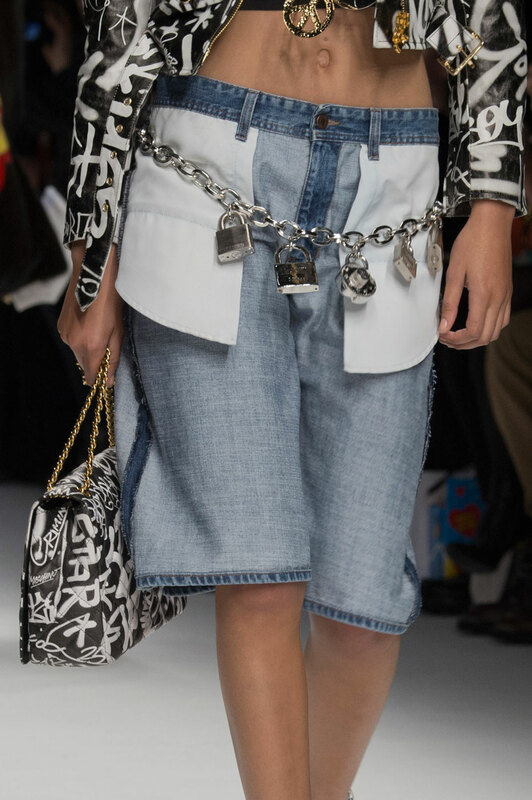 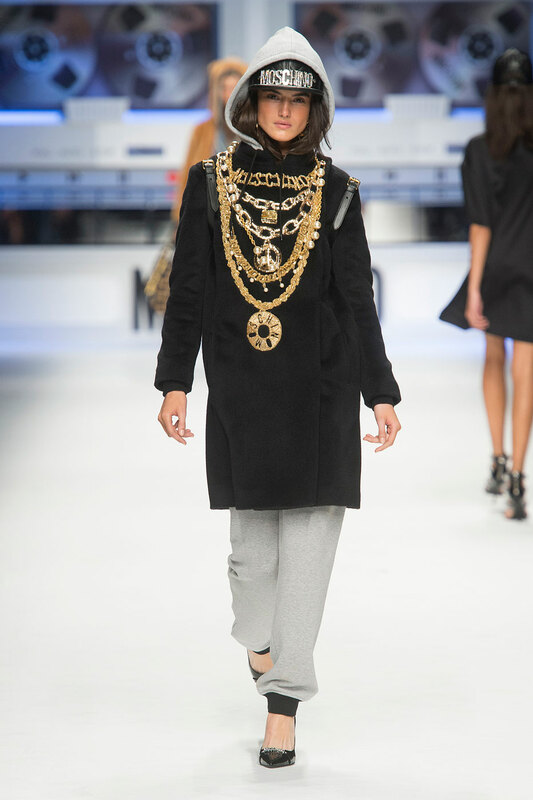 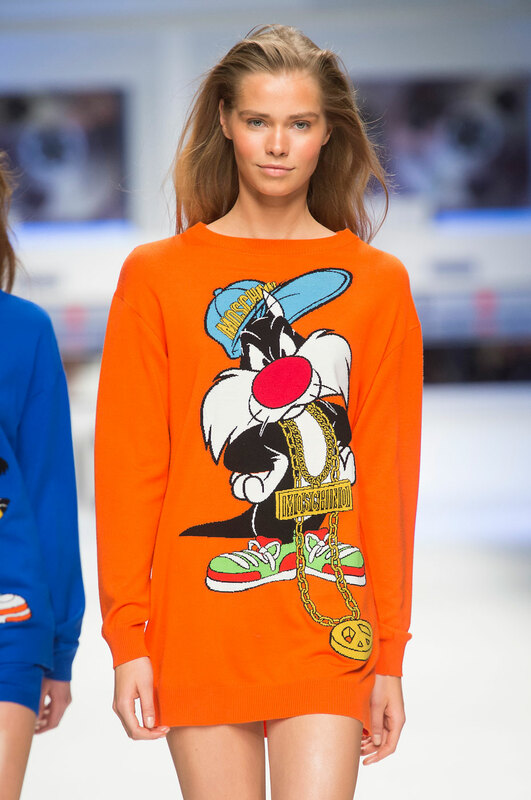 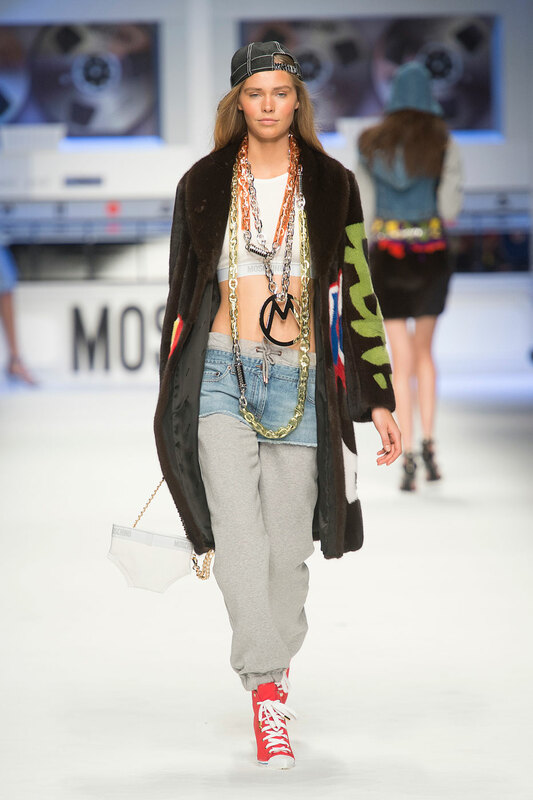 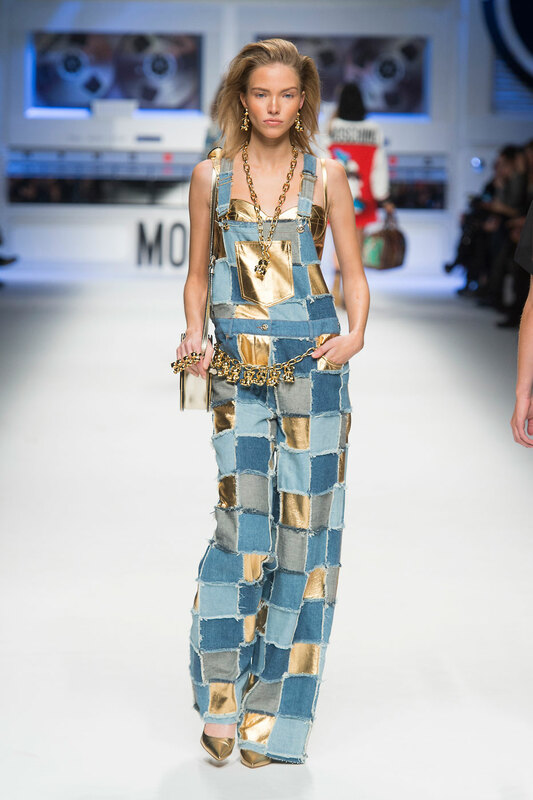 His Looney Tunes dedicated looks have an ‘old skool’ hip-hop edge, with heavy chains and baggy patchwork jeans making a fearless appearance on the runway. 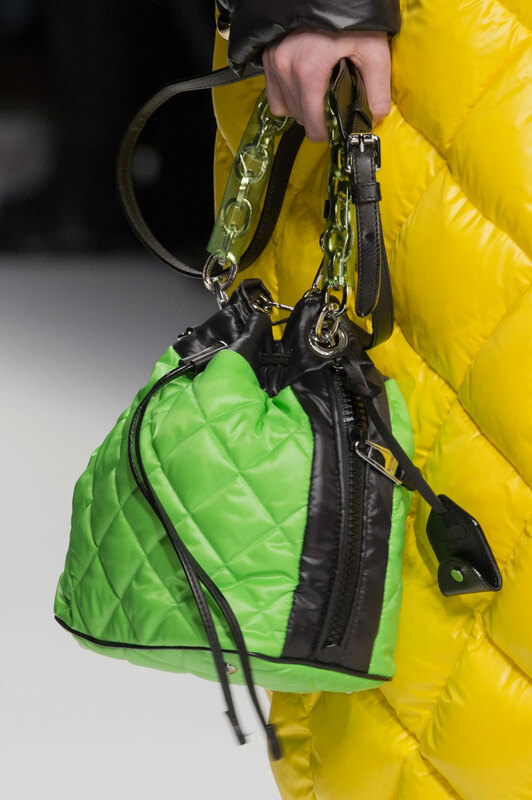 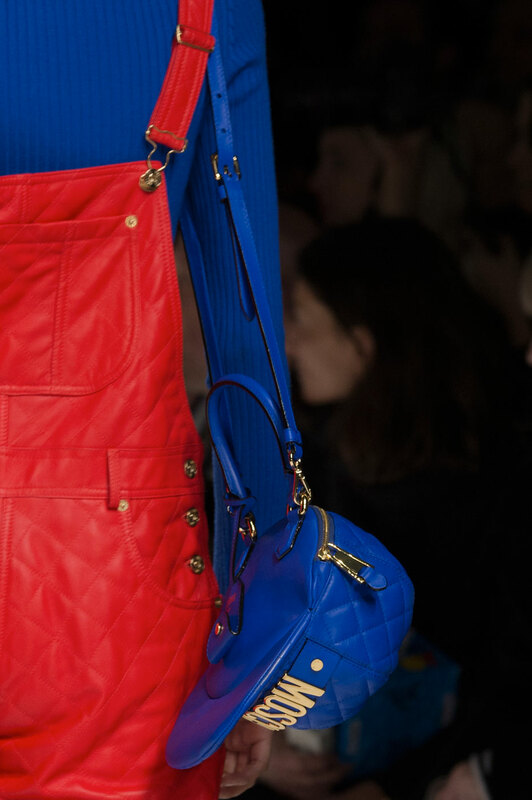 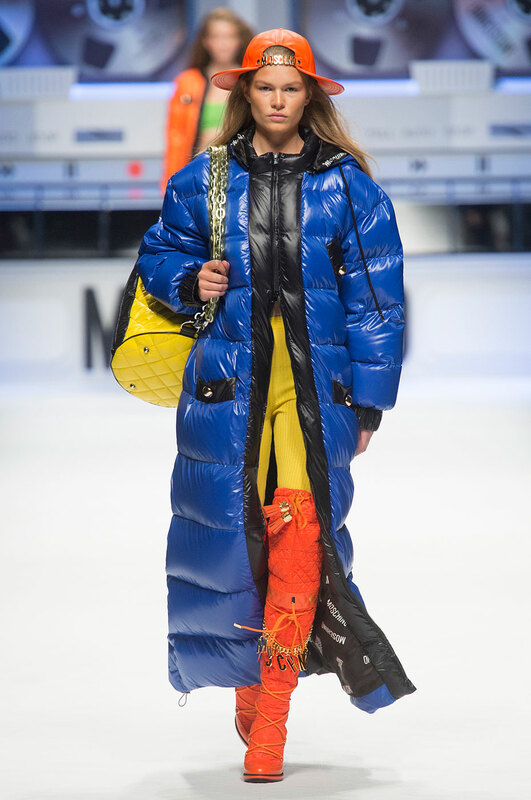 It’s not the first time we’ve seen quilted puffa jackets this season but Scott has made this trend absolute for the fall. 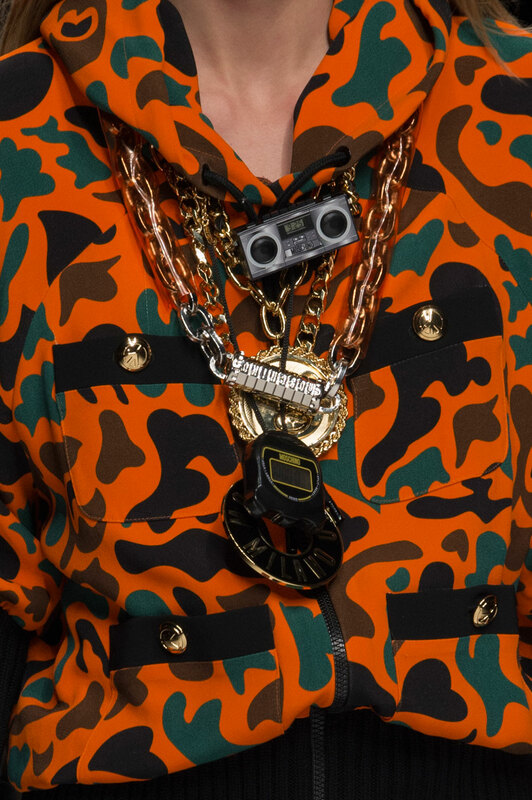 His primary colour scheme (imitating lego blocks) compliments his cartoon theme, drawing attention to accessories and detail. 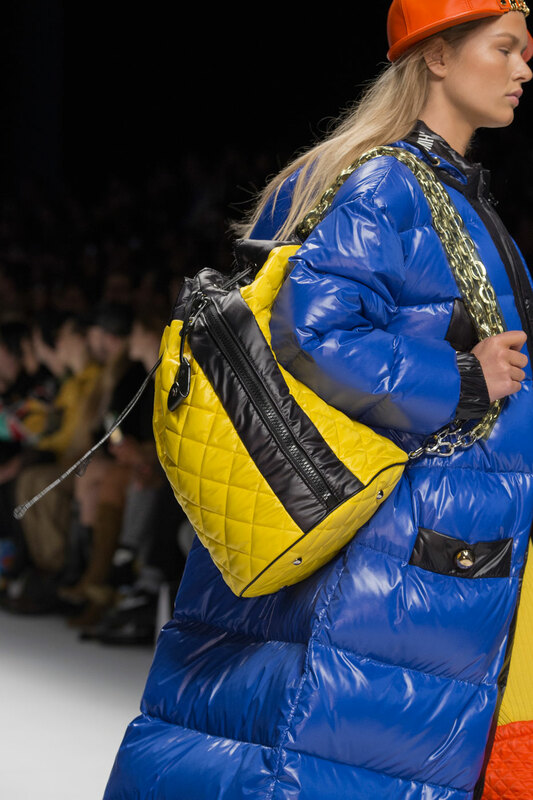 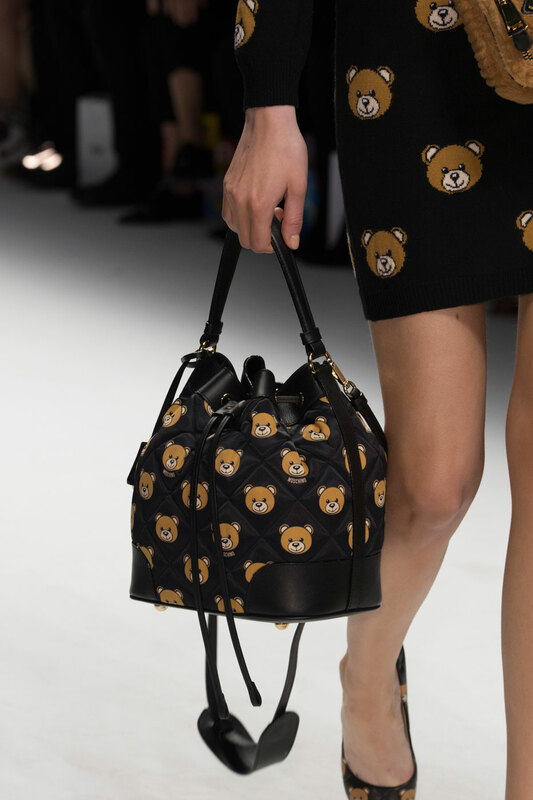 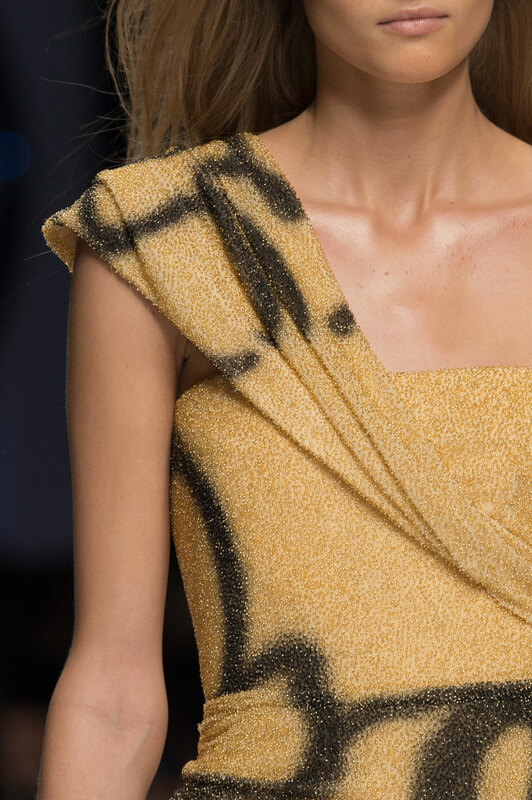 Every look has character; Whether it be the quilted leather handbags, graffiti printed ball gowns or matching teddy bear accessories, each outfit has a rare, exquisite edge. 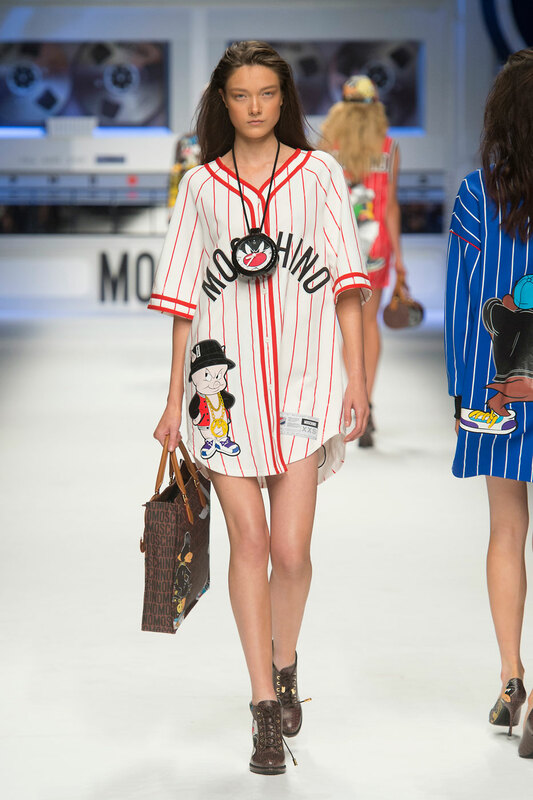 His crazy American visions have added an abstract touch to the basic baseball jersey and they’ve shown us a new way to wear bumbags. 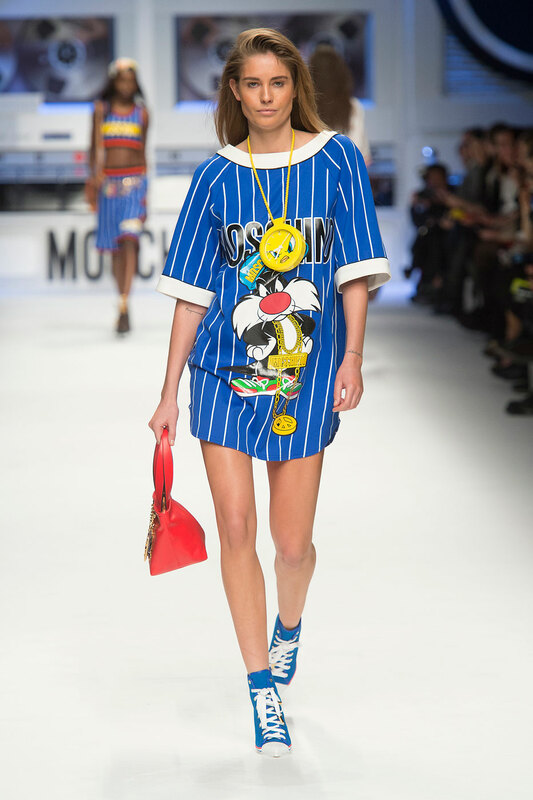 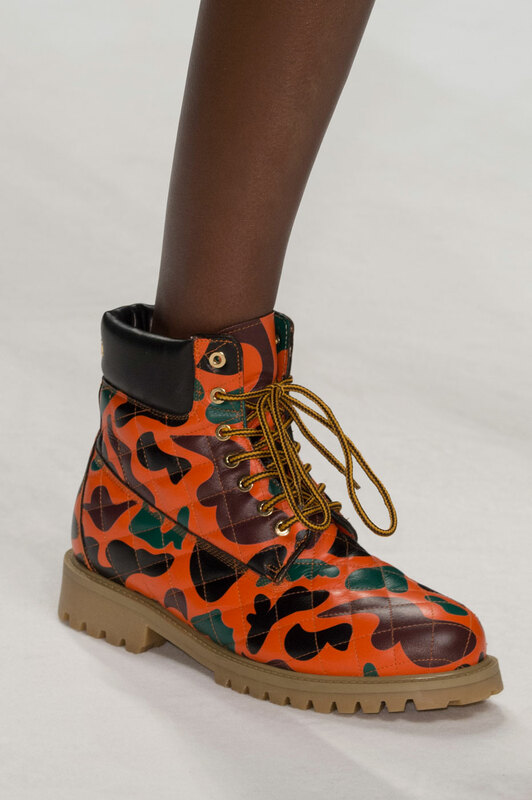 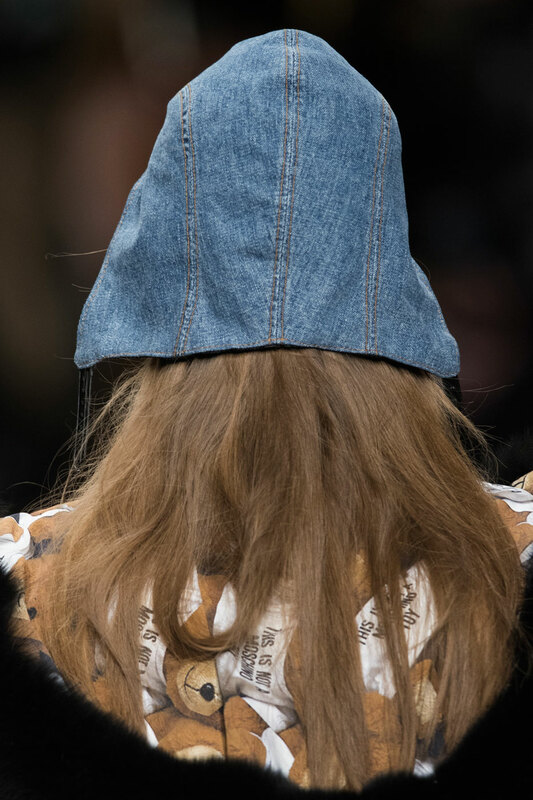 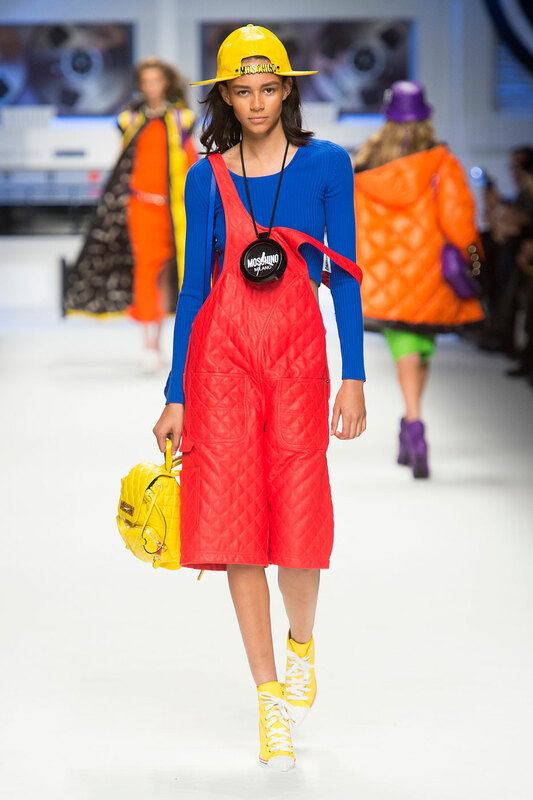 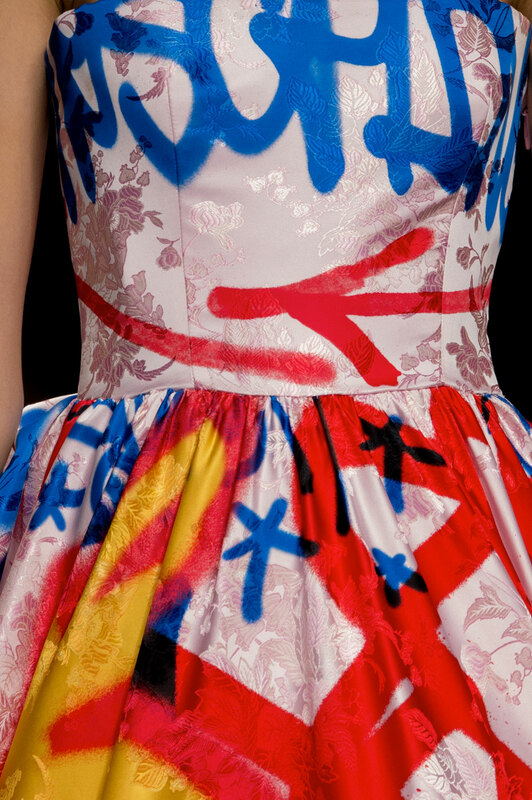 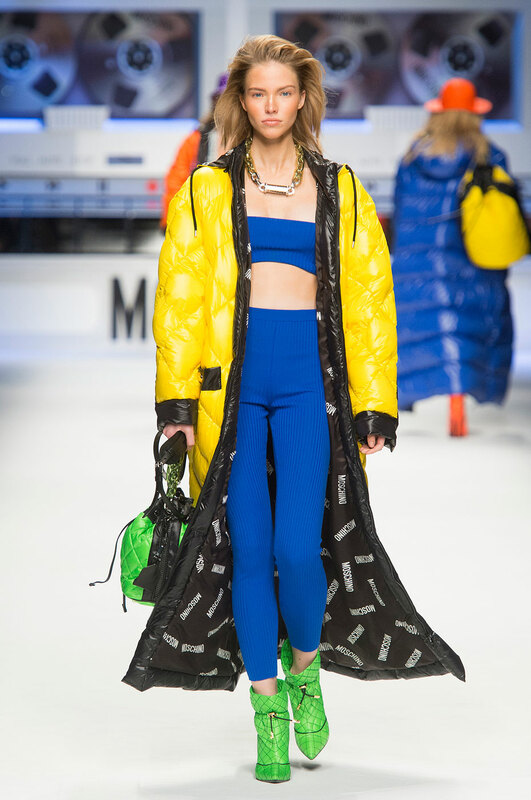 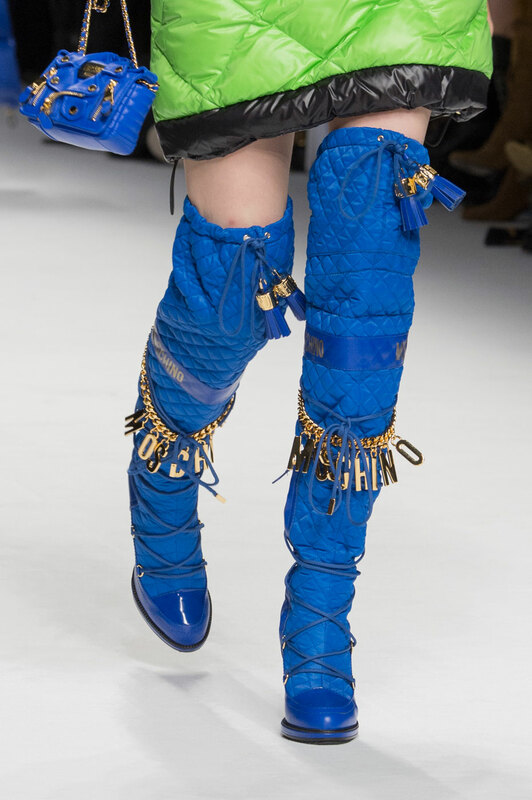 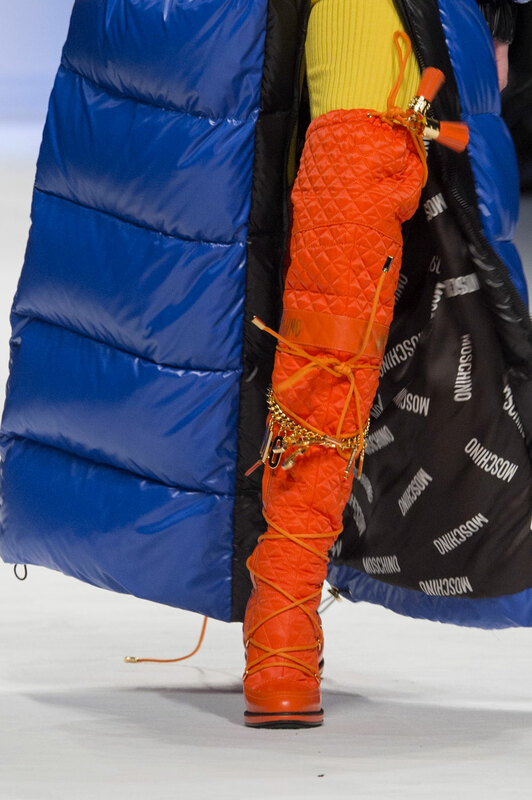 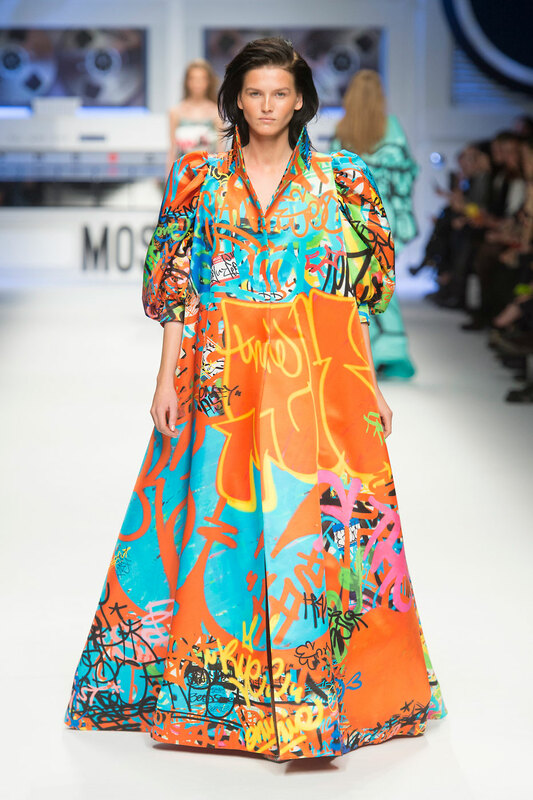 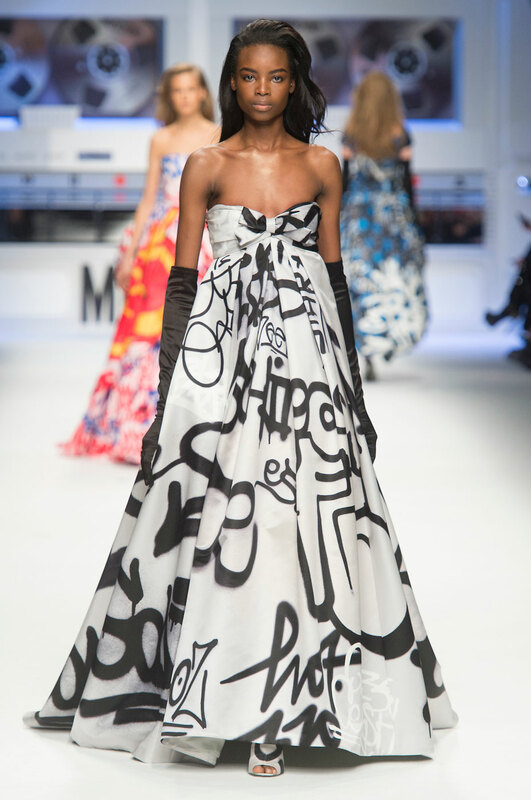 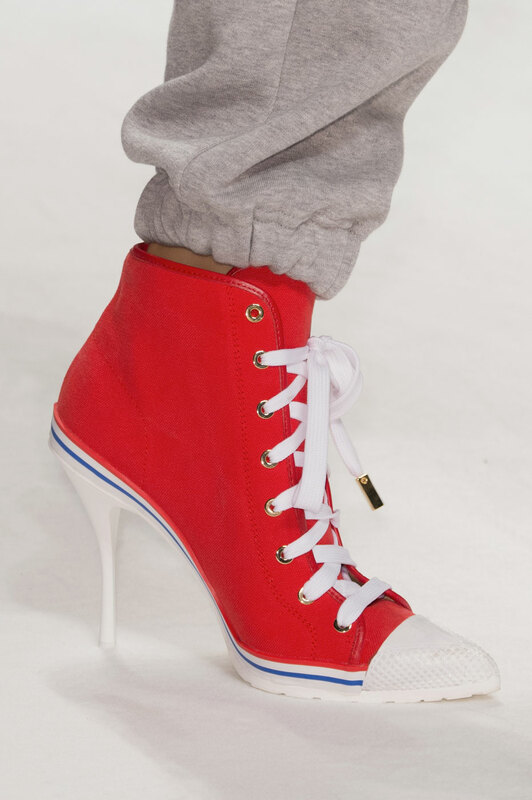 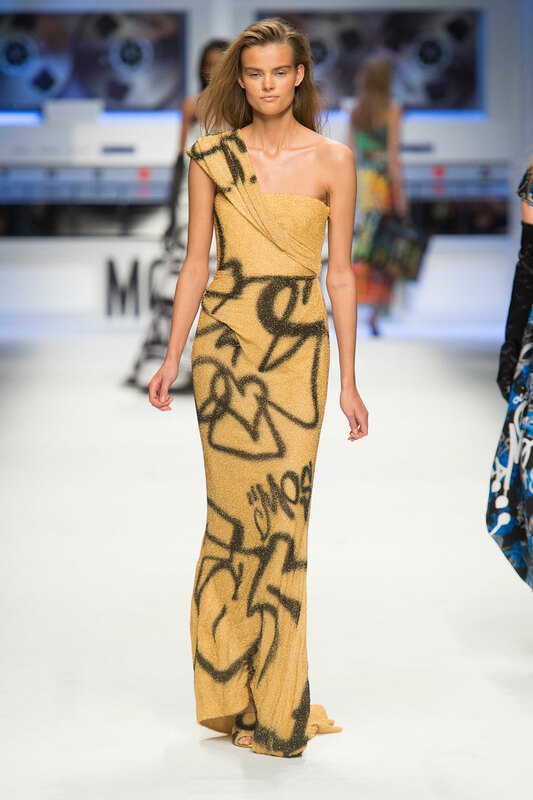 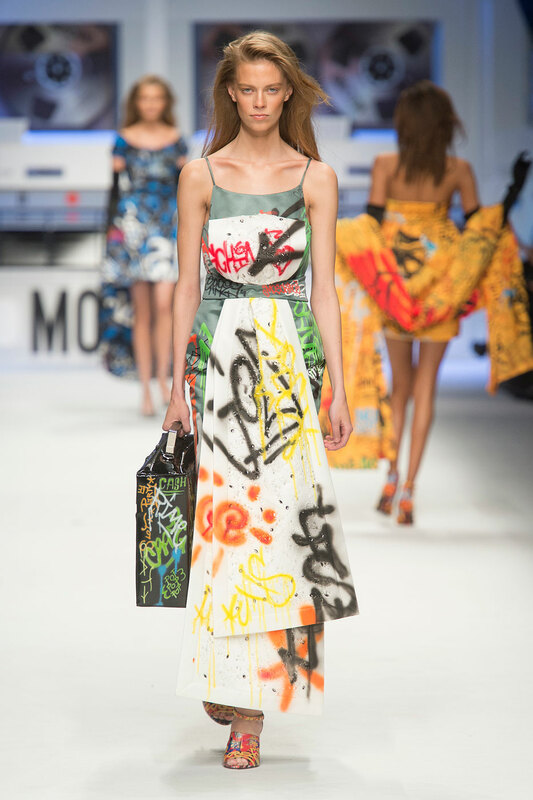 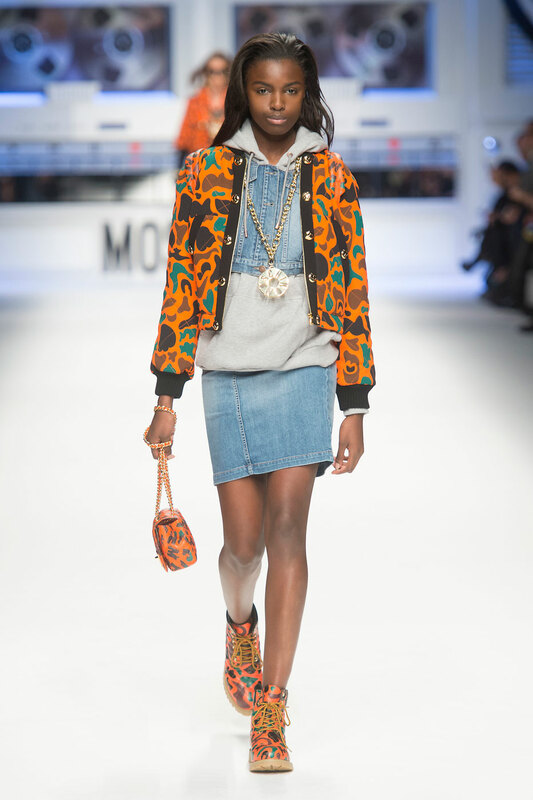 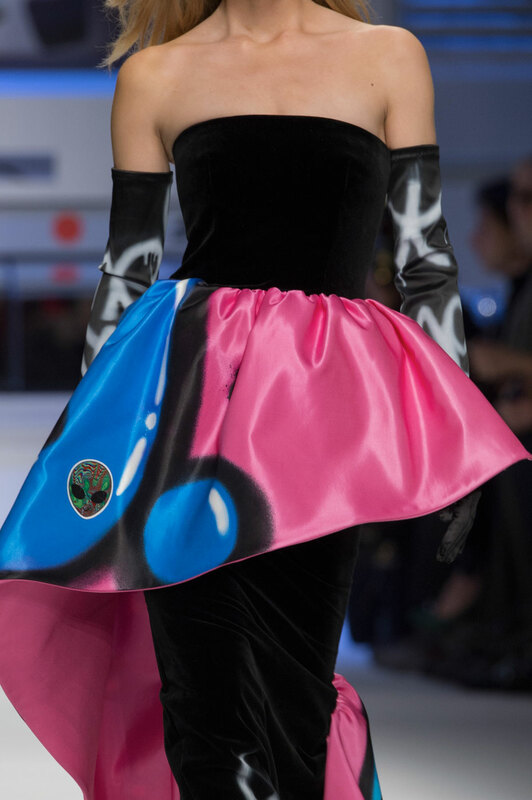 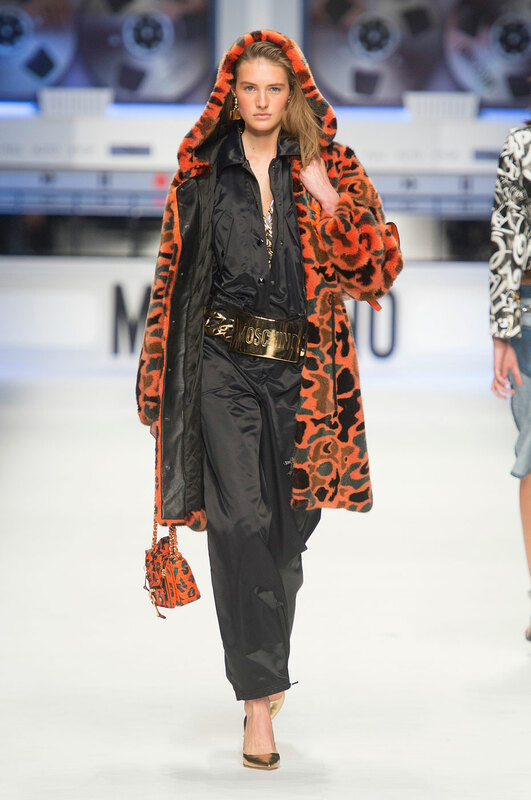 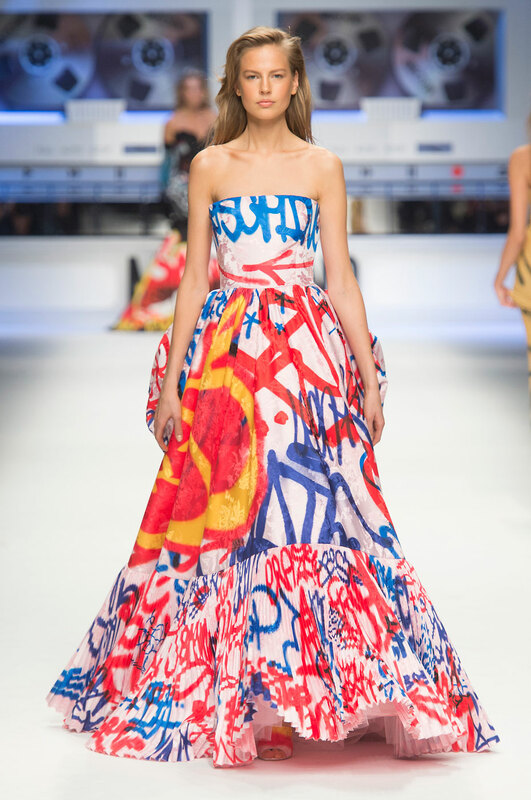 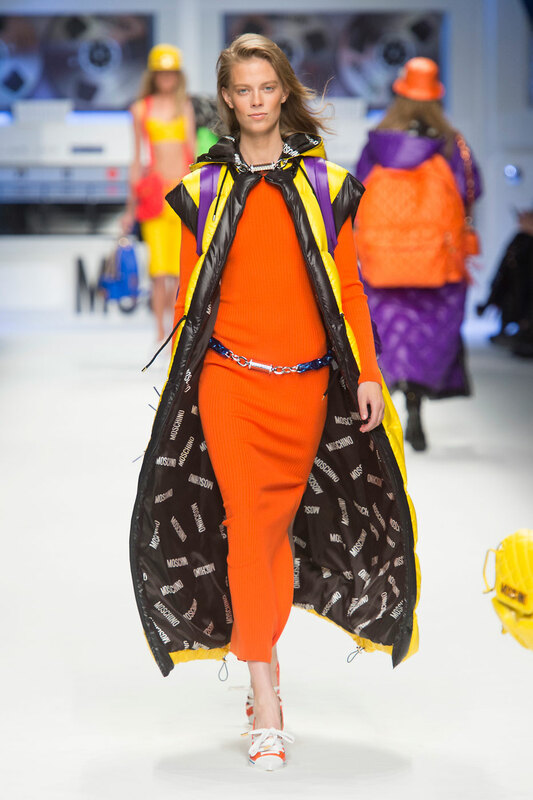 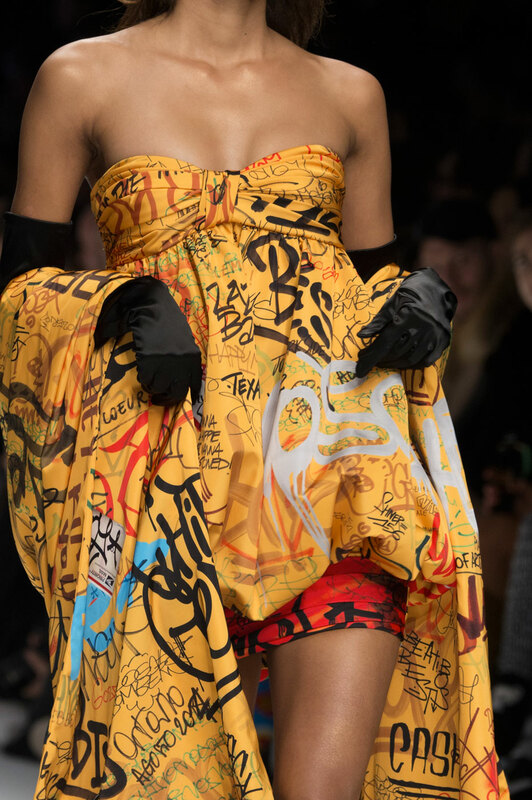 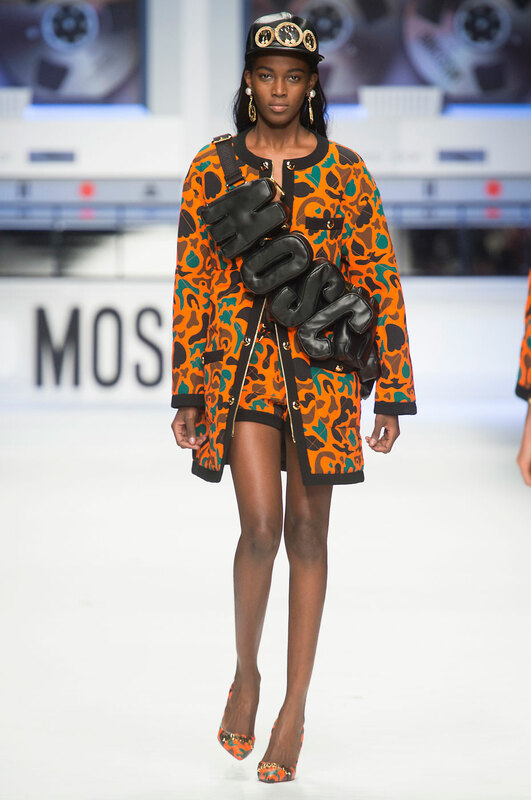 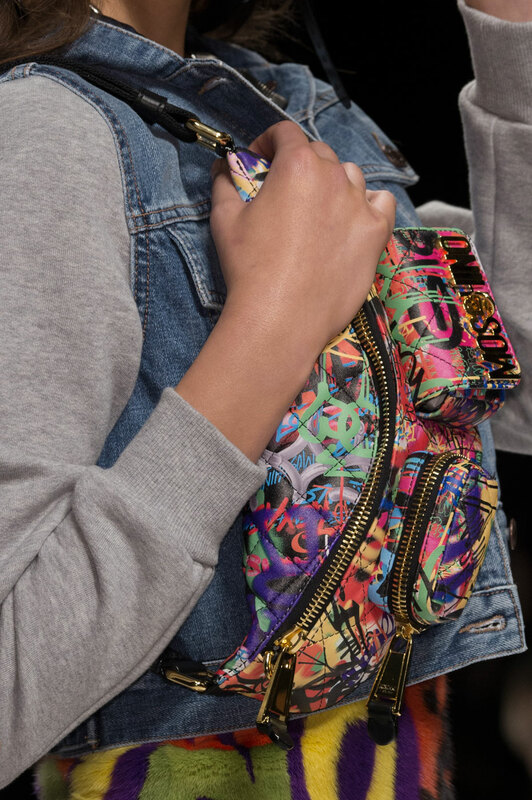 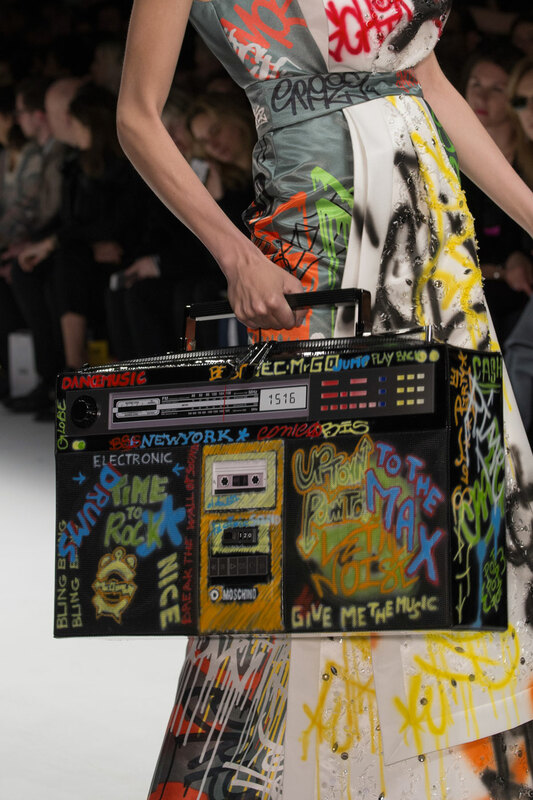 But most of all Jeremy Scott has found the perfect balance between contemporary art and fashion design, once again expressing his eccentric creativity on the catwalk.